VocabularySpellingCity Premium Membership for up to 5 students is $29.99 for one year. 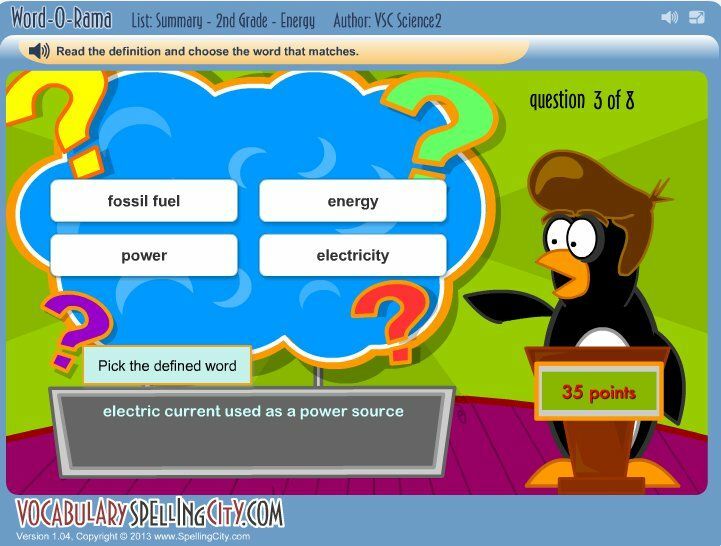 VocabularySpellingCity is geared for all ages from K through 12th grade. Some games lessons include; Elementary, Middle, and High School Vocabulary, Spelling, Writing, Parts of Speech, Handwriting,and Alphabetical Order. You can access the program from any computer, including an app available for most smart phones and tablets. This allows me to have both kids on separate computers, using the program at the same time. 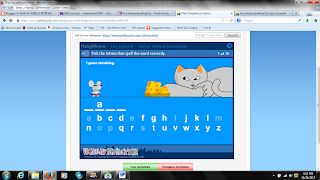 We reviewed this program last year and I was able to choose some random spelling words for the kids to use. This year we are using a program that supplies us with spelling words, and it has been great to just take that list and plug it into the VocabularySpellingCity program, and assign it to one or both of the kids I am using it with. If our lists were too long in length, the game Hang Mouse (similar to Hang Man) was hard even for Mom! It was fun, but with a lot of beginning words, it made it kind of hard to guess within 5 chances. I can make a spelling list that we can use specifically for Hang Mouse though. One thing that is so great about this program is that you can have multiple lists and name them different things so you remember what they are. I have a list named for each child, so that as we run into hard words I can just add it to their specific list. I also have lists titles with our lesson number for our spelling words in English class. I can assign each of the kids specific tasks, based on specific spelling lists. They click on their name and they know exactly what is required of them. I love this feature as I don't have to remember and make them a handwritten list, it is just assigned when they log in. This program really is multi layered and you can continue to get more and more out of it. You can do the games but you can also do spelling and vocabulary pre-tests and tests. Both my 9 and 11 year old really enjoy this program. I don't get any complaints about working with it. I typically assign them 2 or 3 activities a day, including at least one of the games I know they really like. See what the other Crew Members thought about VocabularySpellingCity by clicking on the link below.